Please feel free to call, email or stop by one of our stores in person to discuss your running shoe (or gear) needs. You’ll find our experienced (and friendly) staff of runners can answer all of your questions about running shoes or gear. We look forward to being of service. Promoting fitness through the sport of running in the Santa Clarita Valley Community. We’re your destination in the Los Angeles County’s most northern city. 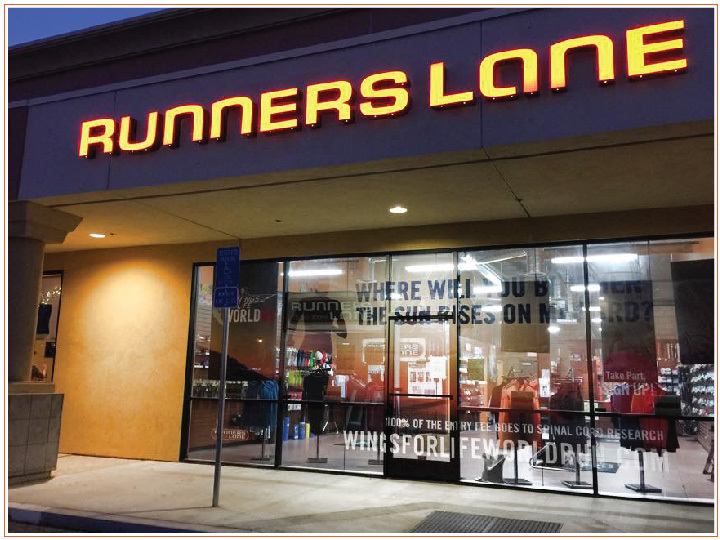 Runners Lane and company will get you fitted for running in Santa Clarita, in Los Angeles and beyond. No matter what company you keep, our running staff can get it done. We run for fun and because we know Los Angeles county. We are your running shoe store in Santa Clarita. We are your running shoe store in Palmdale.